When Bob was a baby I struggled to get anything done as she would scream whenever I put her down. I bought a cheap baby carrier so that I could do things whilst holding her but we didn’t get on very well with it. In it’s defence we didn’t give it much of a chance. There was no need as Bob was our only child and if she was in our arms then so be it. Now we are a family of 4 I have discovered the wonders of baby wearing! When Bow arrived the school run became quite stressful. Trying to negotiate a 4 year old, a pram and all of our supplies across the busy road wasn’t easy! I wasn’t sure I would be able to tie a sling and the carrier I had with Bob put me off getting another one so I searched the Internet for a solution. I came across the Mei Tai . It is a cross between a sling and a carrier. It has a padded section for the baby to sit in (like a carrier) but it also ties and is very flexible (like a sling). It took me a couple of attempts to perfect the tying of it. I used one of Bob’s dolls to practise on. 🙂 Once I knew what I was doing it was quite simple. Bow loved being in the Mei Tai! He seemed so snugly and usually fell asleep. There was no screaming which usually accompanied our pram journeys. I loved it too as I had my hands free! I could hold Bob’s hand on the walk to school which was wonderful! The main problem was the length of the straps. They were huge! I know they have to accommodate for people of all shapes and sizes but they would have wrapped around me about 4 times. I wondered whether to cut them but I worried they would fray. It was perfect for the school run when we started and ended the journey at home but it made getting the carrier on and off quite tricky when we were out and about. I decided to buy another carrier. I asked in a Facebook group and eventually decided on a Babymoov Physiological Baby Carrier . I would have loved to buy an Ergo but they are very expensive and I couldn’t risk me not liking it. The Babymoov seemed similar and it was half the price. It could also be used from newborn without having to buy a separate attachment. Even though Bow was only a few weeks old, I decided to buy my third carrier. Beware! 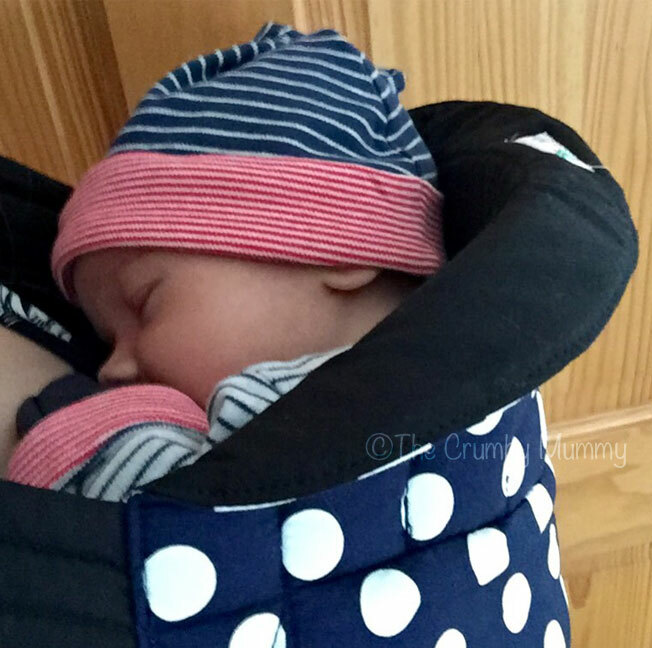 Baby wearing might be great but finding the perfect carrier can soon become addictive! I started wondering if a sling might be the way to go. I wanted something that felt like a second skin and was really comfortable. I was still worried that I wouldn’t be very good at tying one. I trawled the Internet and eventually I came across a Close Caboo . This was exactly what I was looking for! It slipped on over my head and was easy to tighten using the rings at each side. I could lift Bow into it easily and if felt how I imagined a sling would feel. Bow and I loved it instantly! It came with a section to tie around yourself and baby for extra support. I didn’t use this part when I was in the house but I thought it would make Bow more snug when we were out and about. It also made him feel more secure as he grew. I used this carrier for several months and I loved it! Bow is now 6 months old and he is quite a chunky monkey. I worry that the Close Caboo might not be secure enough anymore. Luckily Bow now likes his pushchair but when we walk Sally I like to go up into the Dales and it is not accessible with a pushchair. I went back to the Babymoov and was disappointed. I used it to carry Bow forward facing and it was very tight around his legs. The shape of the carrier seems more suitable for carrying facing towards you. This is still an option but I thought he would enjoy our walks more if he could see what was going on. I have gone back to my Mei Tai for the time being. Yes the straps are still long but it is comfier to wear than the Babymoov. It is also more flexible so Bow can comfortable face in or out. I tried the hip carry but as Bow’s weight was all on one shoulder it was uncomfortable. As I haven’t bought a carrier for a while I think I may be getting withdrawal symptoms! I am now on the look out for the perfect forward facing carrier. Any ideas? Oooh I haven’t tried forward facing but I do love baby wearing (though find the term a bit cringe)! somehow i managed to stick to just one carrier, i definitely should’ve shopped around a bit more as there seems to be so many great ones out there! Gorgeous photo of your little one! 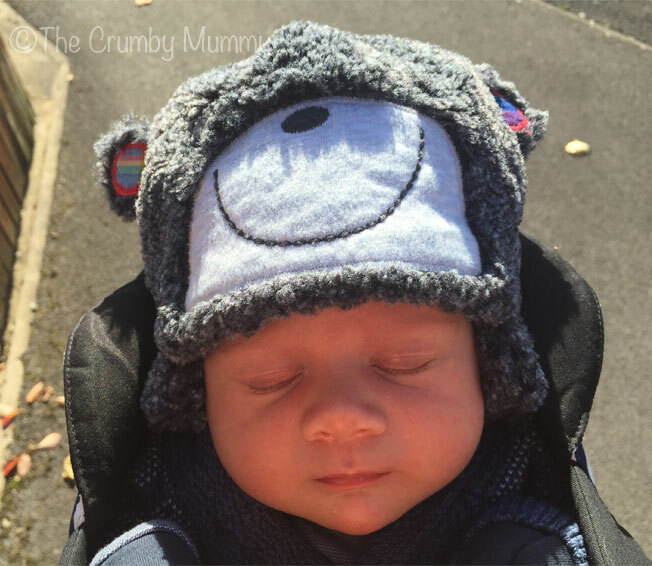 I tried baby wearing for a while and I wish I had persisted longer…. it was especially useful when it came to going out dog walking every morning! I enjoyed babywearing with Lily but as I suffer from a bad back it’s not something I’ve been able to do too much of now that she’s grown bigger. We had a Close Caboo as well for the first few months and it was perfect! I’d love to try a toddler sling so it’s something I’m looking in to at the moment.